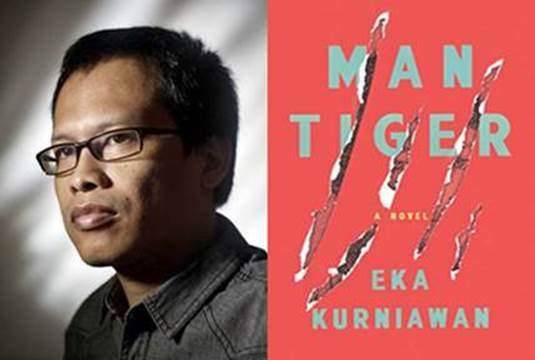 Indonesia’s Eka Kurniawan has won the Financial Times and OppenheimerFunds Emerging Voices fiction award for Man Tiger, along with Brazil’s Clarissa Campolina (who won the Emerging Voices film award for Solon) and Zimbabwe’s Gareth Nyandoro (who won the Emerging Voices art award). The Financial Times and OppenheimerFunds presented the second annual Emerging Voices Awards to the three winners. The ceremony marked the culmination of a months-long award process which reviewed and selected from 797 submissions from 64 emerging market nations. The three winners each receive a $40,000 award and the runners-up in each category receive $5,000, OppenheimerFunds said in a press statement today. With the 2015 Frankfurt Book Fair approaching, Indonesia is stepping up its preparation to exhibit its literature to the world. The country was chosen to be the guest of honour at the event in Frankfurt, Germany, which will take place between Oct. 14 and 18 this year. It is the largest book fair in the world and attracts thousands of visitors every year. DW: In 2013, you decided to leave your job as a successful journalist for a life of uncertainty as a full-time writer. Were your family and friends happy with your decision? Feby Indirani: Some of my friends were skeptical about my decision and called me crazy. They knew I had published some books, but quitting a stable job was quite shocking for many. When you are a TV producer and you host your own show, you are not expected to give it up for something as unconventional as writing. They asked me whether I was sure about my decision and wouldn’t be missing the TV glamour. Even after two years some people still ask those questions.